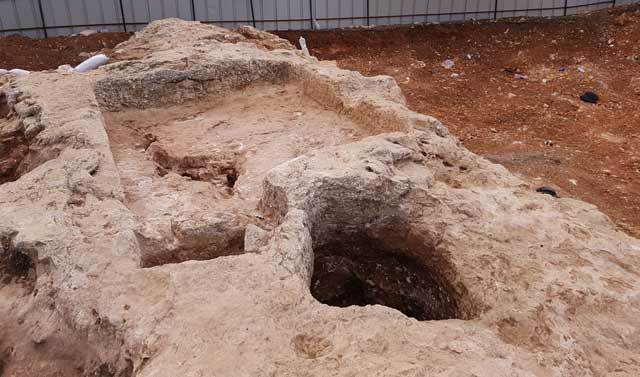 During November 2017, a salvage excavation was conducted in a private plot in Beit Safafa, on the northwest slope of Givʻat Ha-Matos in Jerusalem (Permit No. A-8141; map ref. 219603/627604; Fig. 1). 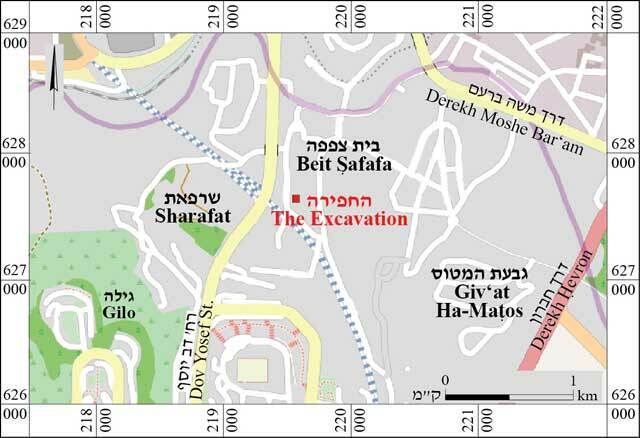 The excavation, undertaken on behalf of the Israel Antiquities Authority and financed by Bassam Alian, was directed by A. Levy (photography), with the assistance of N. Nehama (administration), A. Wiegmann (photogrammetric documentation), A. Rose (drafting) and Y. Zelinger (scientific guidance). 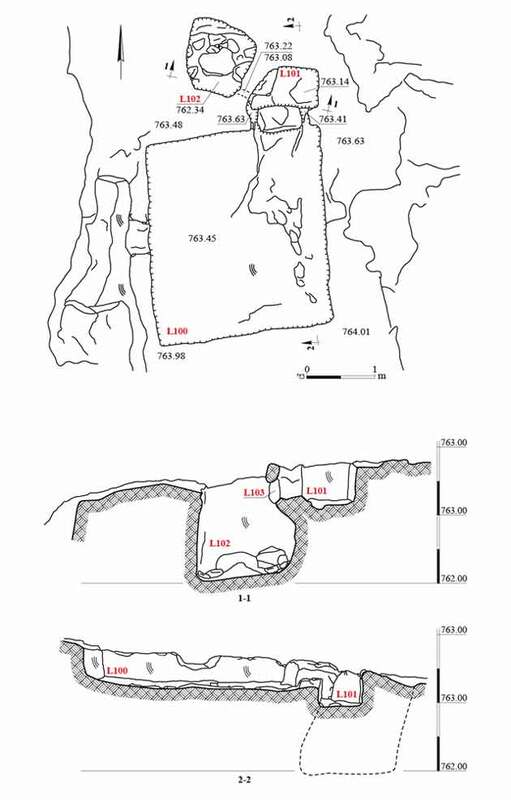 The excavation was conducted on the northwest slope of Givʻat Ha-Matos, which was surveyed several times in the past (Kloner and Zissu 2003). A large-scale salvage excavation conducted at the site in 1991 uncovered an Iron Age II rock-hewn burial cave; a cist grave dated to the first–second centuries BCE; remains of a quarry, installations, a cistern and buildings dating from the late Second Temple period; and the remains of a building, which was built in the Byzantine period and probably continued to be in use into the Mamluk period. 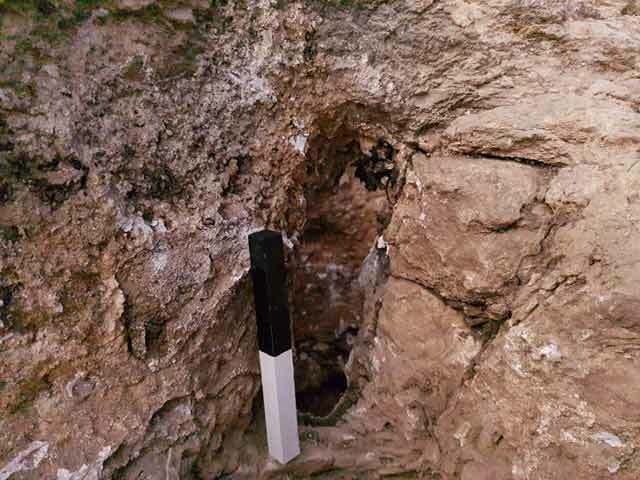 Also uncovered in this excavation was a hermit’s tomb—a circular structure overlying an underground complex—dated to the late Byzantine period (Kogan-Zehavi 1998; 2000; 2003). In 1997, two sections of the Upper Aqueduct were excavated on the west slope of Givʻat Ha-Matos (Weiss 2000). 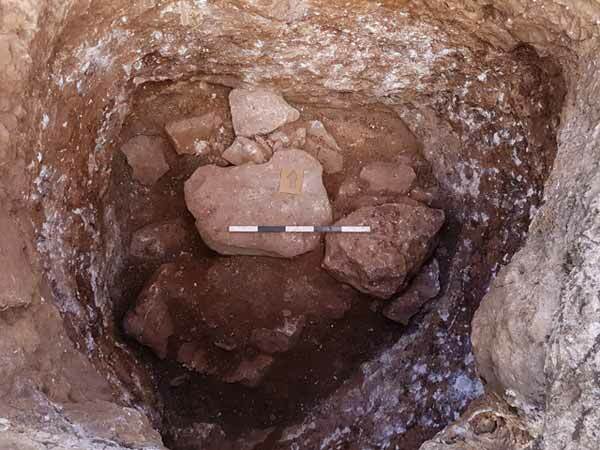 The current excavation unearthed a simple winepress hewn in a rock outcrop (Figs. 2, 3). Its treading floor was rectangular (L100; 4 m long, 2.75 m wide, 0.4 m deep; Fig. 4). 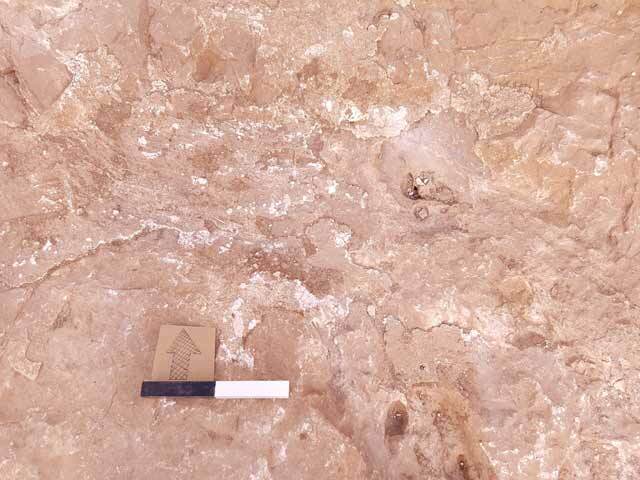 In the northern part of the treading floor were poorly preserved remains of plaster, indicating that it had been coated with plastered (Fig. 5). The walls of a square settling pit (L101; 0.7 m long, 0.65 m wide, 0.84 m deep; Fig. 6), set to the north of the treading floor, bore traces of plaster. Two channels, and eastern one and a western one, were hewn in the rock partition (0.1 m thick) that separated the treading floor from the settling pit. A through-hole (L103; 0.2 m long, 5 cm wide; Figs. 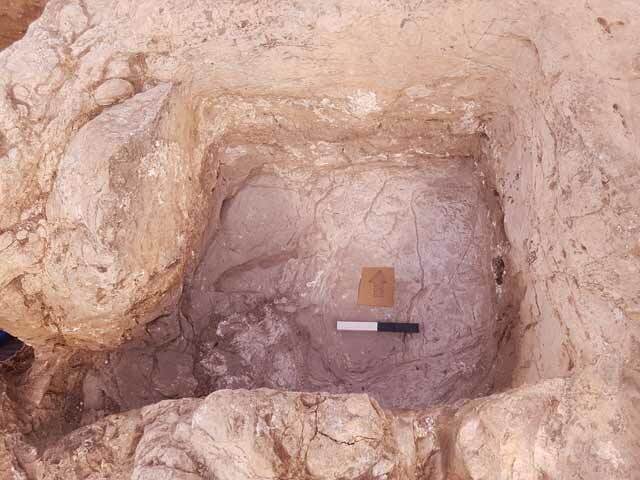 6, 7) hewn in the settling pit’s southwest corner led into a square collecting vat (L102; 1 m long, 0.7 m wide, 2.04 m deep; Fig. 8). 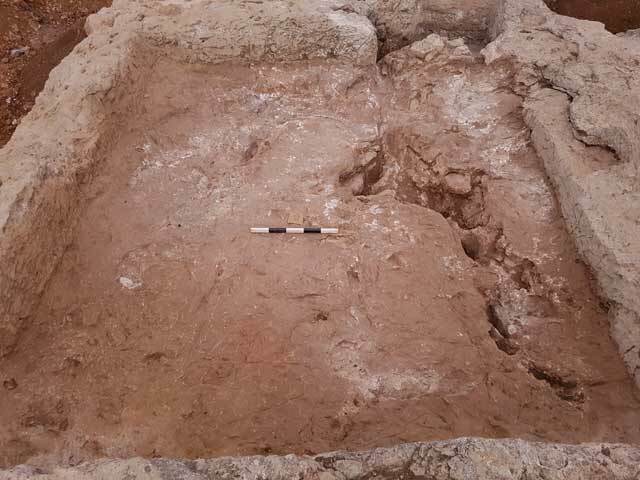 The excavation of the collecting vat was not completed due to large fieldstones that were found in it; nevertheless, it was apparent that little care was taken to ensure that it had straight walls. Only few potsherds were recovered, and all are non-diagnostic body fragments that do not contribute toward dating the winepress. Since the installation cannot be attributed to a specific period based on its form, and since there were no other finds that were diagnostic, the date of the winepress remains unknown. Kogan-Zehavi E. 1998. The Tomb and Memorial of a Chain-Wearing Anchorite at Kh. Tabaliya, near Jerusalem. ʻAtiqot 35:135–149. Kogan-Zehavi E. 2000. Settlement Remains and Tombs at Khirbet Tabaliya (Givʻat Hamatos). ʻAtiqot 40:53*–79* (Hebrew; English summary, pp. 162–165). Kogan-Zehavi E. 2003. The Chained Ascetic from Givʻat Hamatos. Qadmoniot 126:114–118 (Hebrew). Kloner A. and Zissu B. 2003. The Necropolis of Jerusalem in the Second Temple Period. Jerusalem (Hebrew). Weiss D. 2000. Jerusalem, Givʻat Ha-Matos. HA-ESI 111:105*. 3. Winepress, plan and sections. 4. Treading floor, looking north. 5. Plaster remains on the treading floor, looking north. 6. Settling pit and through-hole, looking north. 7. Through-hole between the settling pit and the collecting vat, looking north. 8. Settling pit, looking north.